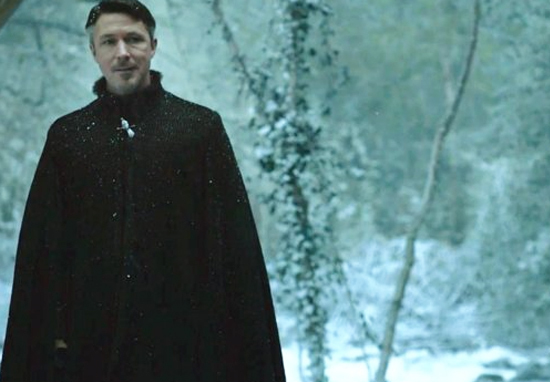 Littlefinger has been sneaking around Winterfell for ages, lurking in shadows, hiding letters in plain sight and generally getting spooked by new Bran. Littlefinger wants Sansa and the Iron Throne; Jon is the roadblock in the way of both goals. Littlefinger’s already told us what his basic strategy is; he lets his enemies destroy each other for him while he acquires more territory and an ever-larger army. Adding the North to his pile is his next step, and while he seems to be sitting around Winterfell twiddling his thumbs, he’s actually positioned exactly where he wants to be, with a fantastic excuse for staying out of the fiery bloodbath to the south. While Littlefinger and his army are parked safely at Winterfell, his rivals are dropping like flies: the Martells and Tyrells are gone, half the Greyjoy fleet just sunk the other half, and Team Cersei and Team Daenerys are hacking away huge chunks of each other’s military might every time they clash. In Littlefinger’s plan, it doesn’t matter much whether it’s Cersei or Daenerys who wins; whichever one sits on the Iron Throne at the end will do so with heavy martial losses and a serious public relations problem. People hated Targaryens before one unleashed a Dothraki horde and burninated the countryside… and they hated Cersei before she blew up their religion and strutted around pregnant with her brother’s baby, thus proving the rumors true that Joffrey and Tommen were never legitimate kings. And just imagine… into this mess rides the Queen in the North, trueborn supermodel daughter of the famously noble, recently vindicated Ned Stark, with the united armies (and food!) of the North, the Vale, and the Riverlands behind her, to be hailed as the liberator of the Seven Kingdoms. It would be sweet justice immortalized in a thousand songs. Once Littlefinger has Sansa installed, Littlefinger can either be the power behind the throne or marry her to claim it himself. However, as this Westeros political strategist/Redditor argues, this plan isn’t going anywhere near as smoothly as Littlefinger assumed it would. 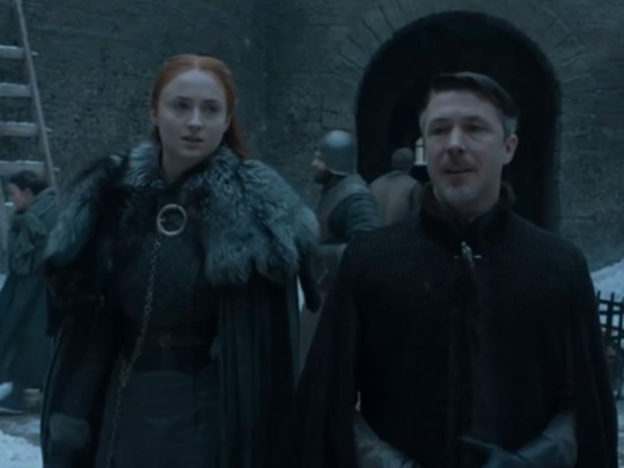 Littlefinger didn’t bank on Jon Snow surviving the Battle of the Bastards, and he certainly didn’t think he would become King in the North, rising above Ned Stark’s ‘legitimate’ daughter Sansa. He also couldn’t have guessed in his wildest dreams what formidable badasses Bran and Arya have become while presumed dead. With all this in mind, what will his next move be?